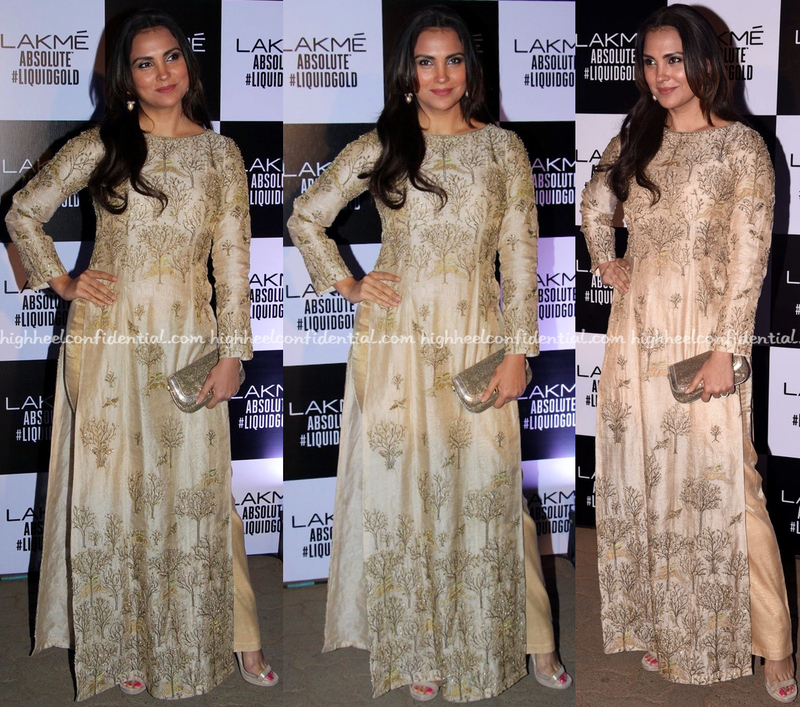 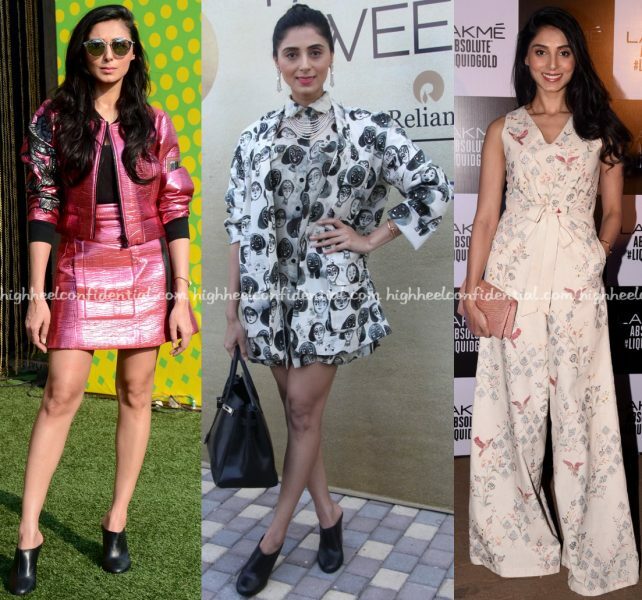 Between the pink Dhruv Kapoor, printed Masaba separates and Anita Dongre jumpsuit, which did you like best on Pernia? 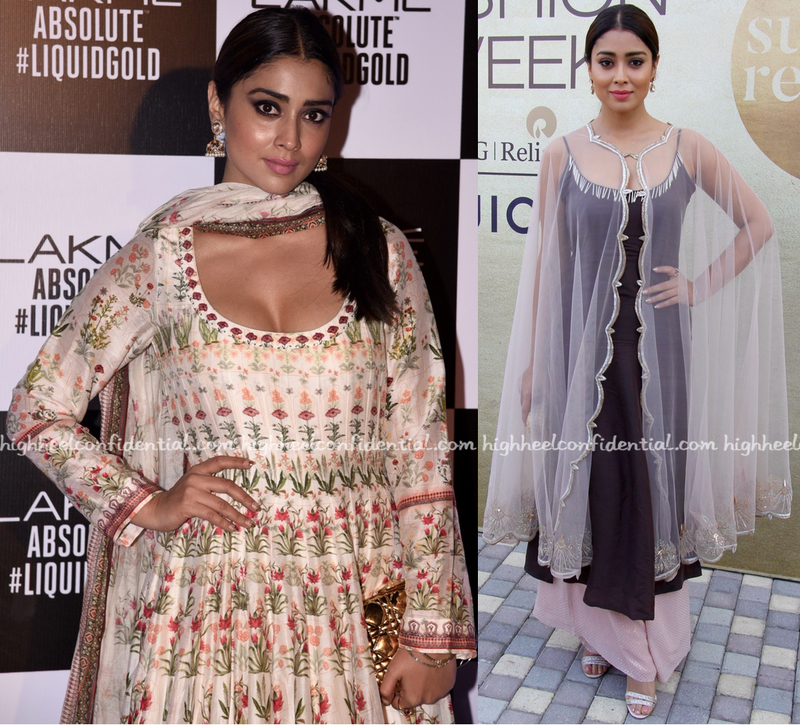 Wearing Anita Dongre separates, both Pooja and Kajal took in the designer’s show at LFW. 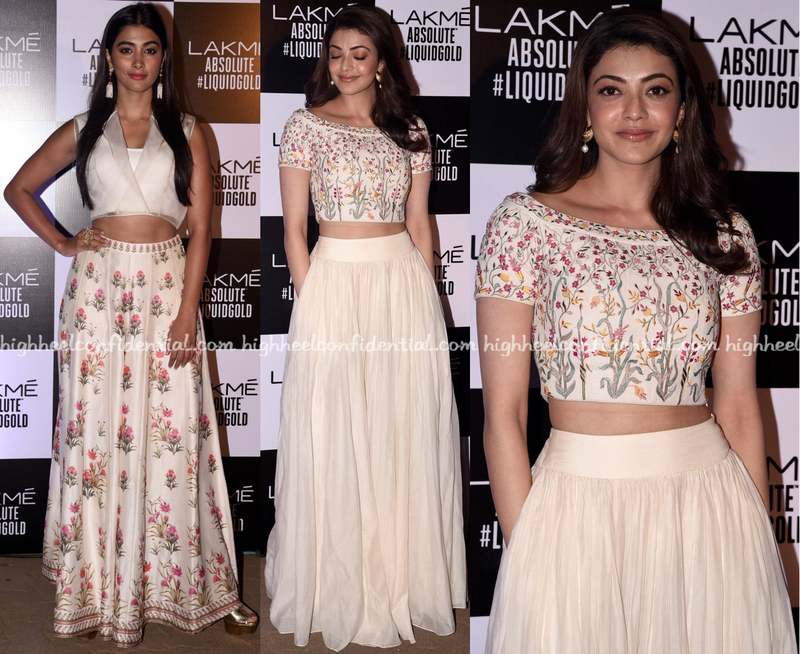 Though they both wear their outfits well, my vote goes to Kajal in the match-up. 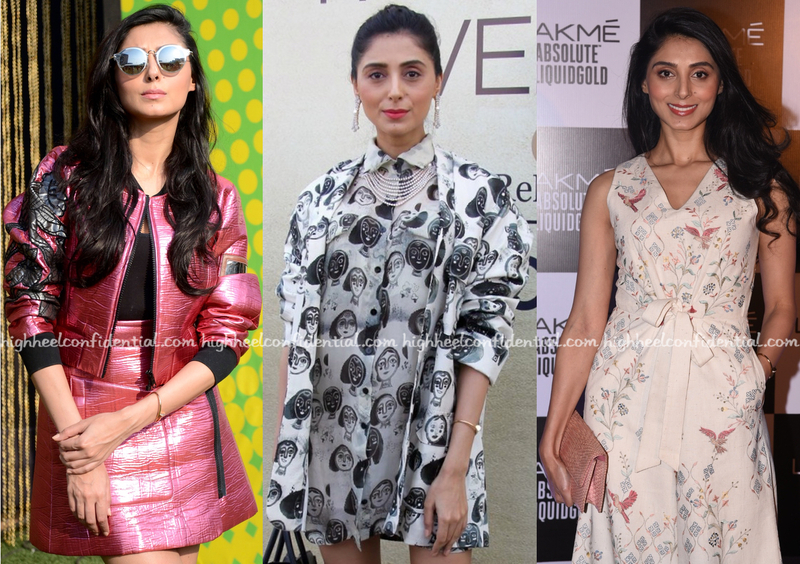 Not a fan of Pooja’s top. And besides, Kajal’s look just seems fresher in comparison. Among the celebrities in attendance at Anita Dongre’s show were Kiara and Diana, both wearing outfits by the designer of course. 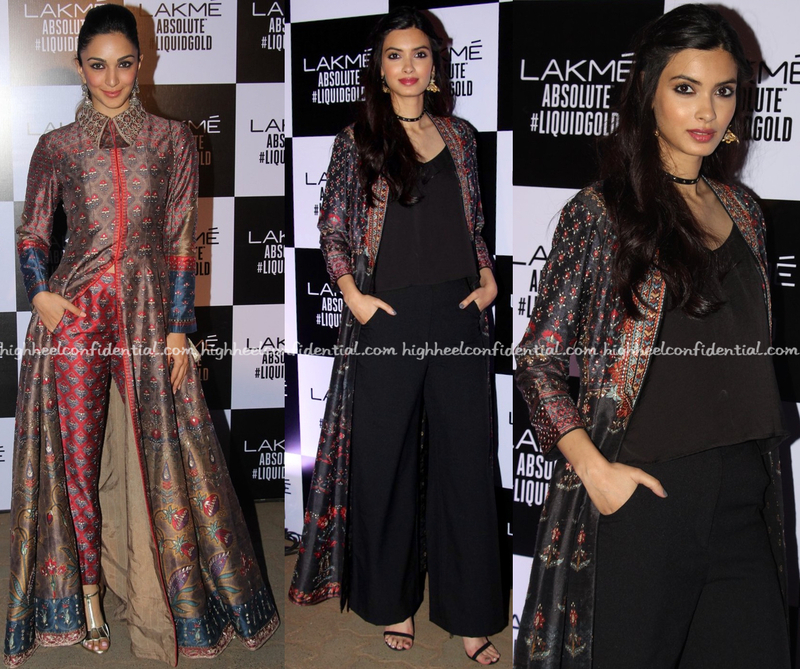 While Kiara chose to do print-on-print, Diana paired her printed jacket with black separates. Who was your favorite of the two? 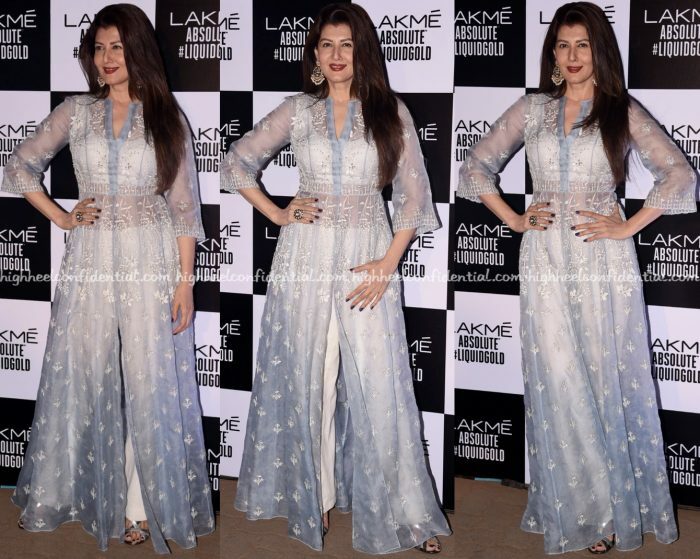 Lending their support to the designer, both Sangeeta and Lara sat front row at Anita Dongre’s show wearing outfits from the label. They both wore their looks well. 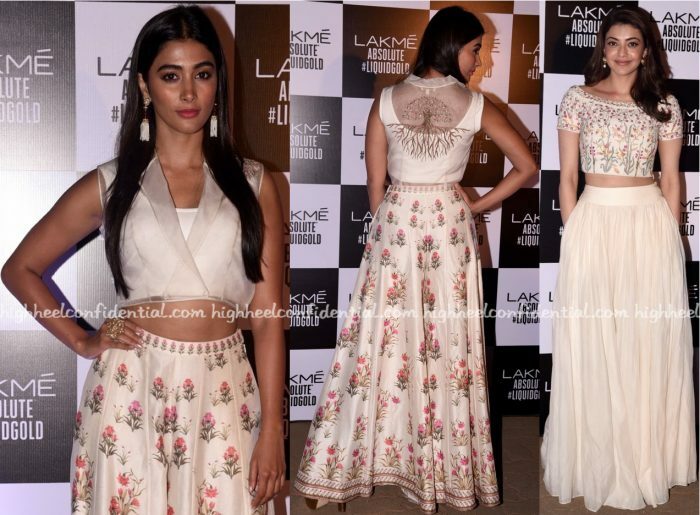 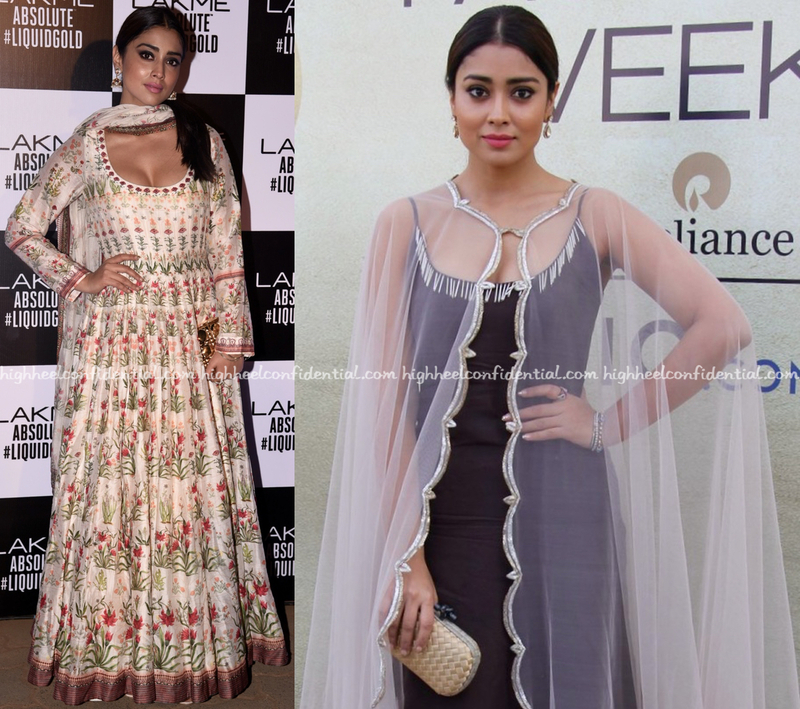 While at Lakme Fashion Week taking in the shows, Shriya was photographed in an Anita Dongre suit on one day and a Payal Singhal outfit that featured a sheer cape on another.